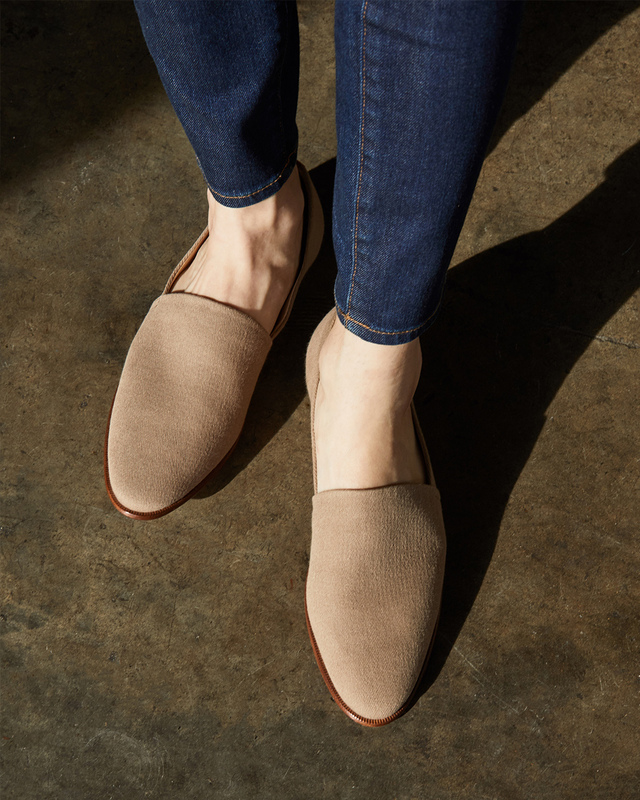 As our first canvas shoe, the Nora Slip On is an elegant, yet casual take on the classic A-line style. Handmade in León, Mexico, the Nora features a cotton canvas upper for a breathable and comfortable stride. Your summer vacation won't be the same without it. 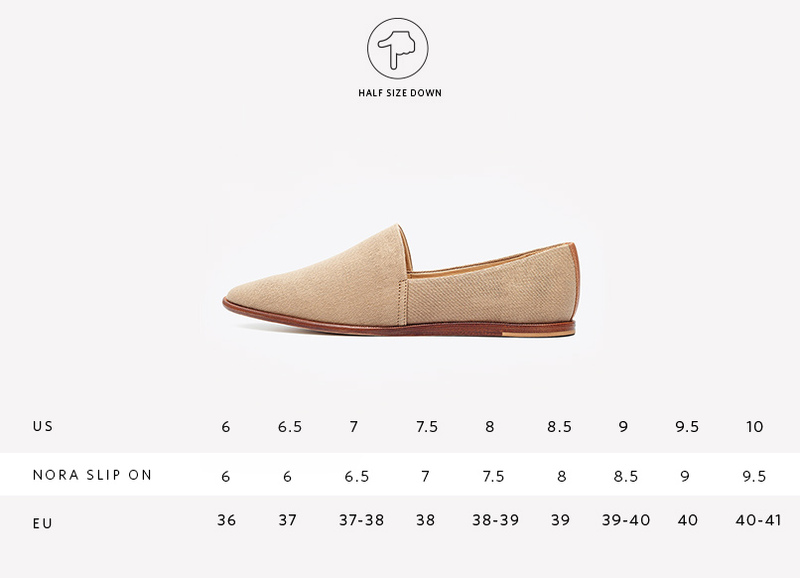 We recommend sizing down a half size. The canvas will break in and become more flexible over time.